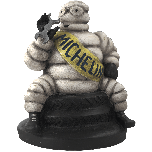 The third addition to our Bibendum Collector's Series features the Vintage Michelin Man Figure in one of the most famous and recognized poses from all of Michelin's promotional history “Bib Standing on Tire”. 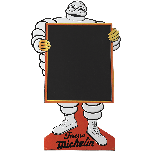 The Standing Bib figure, usually made of plastic, was one of the most popular versions available during the 1970s, 80s and 90s. 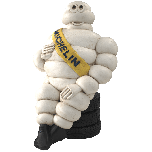 Based on that famous figure, this Michelin man figure for sale stands proudly and confidently for Michelin, chest out and sash properly displayed. 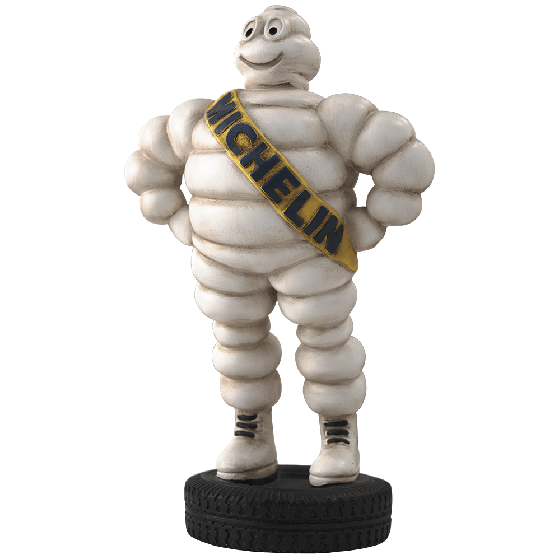 And, unlike various unauthorized versions of this figure, this Bib stands atop a tire that actually features the famous Michelin Double Rivet vintage tread design. 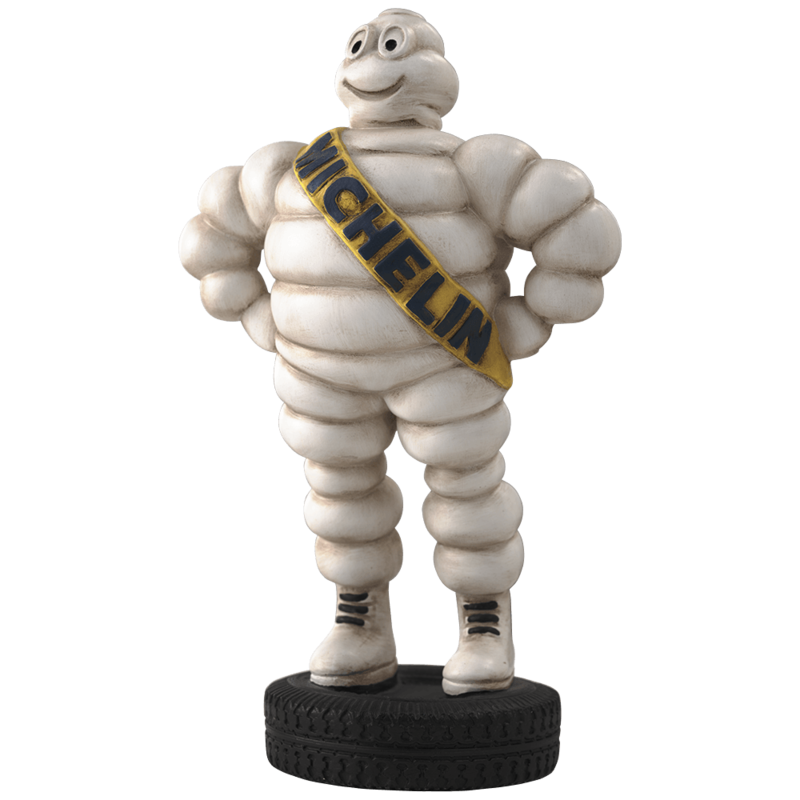 Each solid, poly-resin figure stands approximately 13 1/2 inches tall by 8 1/4 inches wide elbow to elbow. Made in the USA, each piece receives a hand painted, antique finish assuring that no two are exactly alike. 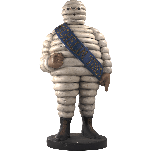 A real conversation piece, the ""Bib on Tire"" is a truly unique figure that is a must for any Michelin or Bibendum collection. 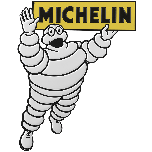 It is fully approved and licensed by Michelin Lifestyle Ltd. as part of our Michelin Collection and is marked with a 2006 copyright. Collect all the figures in the Series! 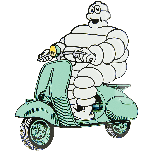 Is possible to send me this product to Spain? Please contact our exports department at support@coker.com.